Jean Dubuis founded “Le Philosophes du Nature” (LPN) in France in 1979, is its current president, and the primary author of LPN’s lessons. Dubuis’ mystical studies began after he experienced a profound awakening, at the age of twelve, in the island sanctuary of Mont-Saint-Michel. This awakening has led to a lifetime of experience in European and American esoteric circles which he brings to his present work. For over sixty years he has studied and practiced alchemy, cabbala, and related arts and sciences, and prior to founding LPN, Dubuis was intimately associated with the development of French Martinism and Rosicrucianism. Professionally, he has worked in the field of nuclear physics with the Nobel Prize winner Jolliot-Curie, and was employed by an international electronics firm for over thirty years. 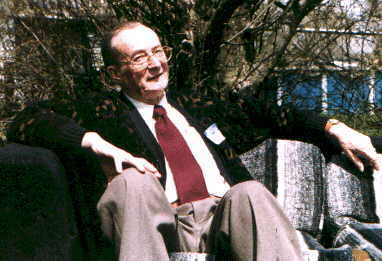 The following interview was conducted at The Philosophers of Nature’s (LPN-USA) Third Annual Seminar, September 12-16, 1994, at the Wild Rose Program Center in Saint Charles, Illinois. Translation was done by Patrice Maleze, a member of the Board of Directors for LPN-France, and an employee of the American Embassy in Paris. Also translating was Benedicte Richard de Laprade, a longtime associate and member of LPN-France. 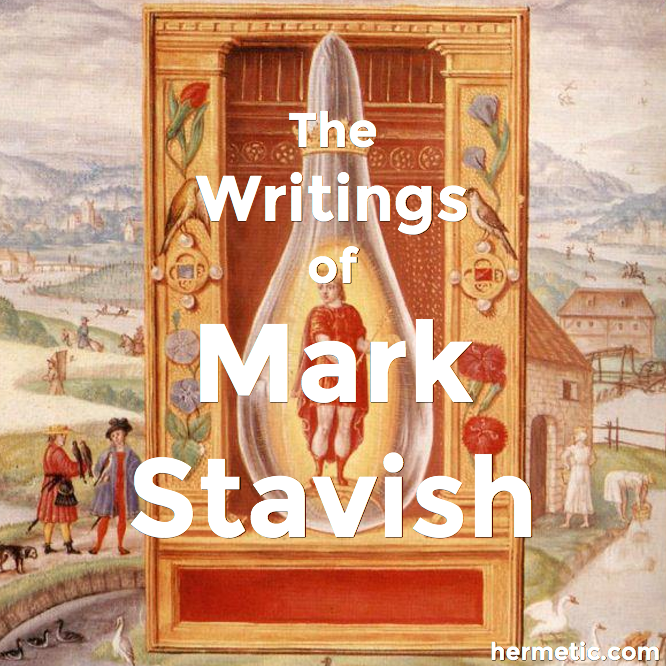 Stavish: Why did you create “The Philosophers of Nature” (LPN)? Dubuis: To date I have more than sixty years’ experience in esotericism. 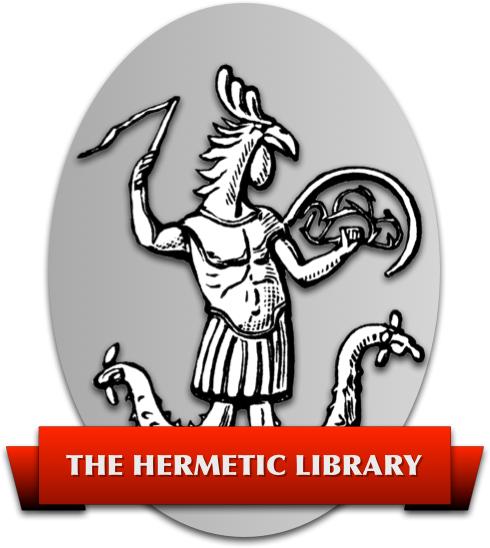 I went through many initiatic or esoteric organizations. In all those organizations I found things that were good and not so good, and I have tried to get rid of those things that were not so good through LPN. I think that the main problem stands that in the real initiatic path you must have no priest, no master, or guru. Because the real initiation means that when you present yourself at the door of the temple you are a free being. So, to use a word I don’t like, the Eternal Father can’t recognize one of his sons if he is a slave of the earth, whatever the field he is a slave of. Freedom is the first thing you must acquire in order to be initiated. The Inner Freedom, of course. Stavish: In today’s New Age movements, many teachings imply or outright state that an initiation is a strong emotional response to something of a spiritual nature. How do you define initiation? Dubuis: I don’t believe that it is what we can call a true initiation. But it is the beginning of an initiation; what can be called a true inner contact. That is, something that makes your real inner me start relating to your physical body on earth. In general, these first contacts can’t be expressed intellectually, but they come to being through intuitive or symbolic experiences. Dubuis: Not everyone must become an alchemist. The whole of nature is a plan to make gods. We are all “zero beings” in origin, and all, with no exception whatsoever, we will be infinite beings at the end of time… Alchemy allows us to go faster, to get rid more early of our worldly burdens, but it is only one of the paths. Dubuis: It hasn’t. It doesn’t change in principles, but alchemy tries to adapt to a new stage of evolution in the world and differently according to the country. Dubuis: This is a very complicated problem. I think that with alchemy, or if you start with cabbala, or with a good Hermetic initiatic discipline, you can find your inner path within a very short period of time. It is difficult for the mundane world to understand, but if you don’t take one of these paths, you will “go back up” in millions or billions of years. Dubuis: I can’t define it because I don’t think it exists in the personal sense. There is a Universal State of Being that is completely impersonal. The answer to this question comes for some people who make the Experiment of Eternity… They then know that things are as they are, because they can’t be otherwise. But no personal god acts on things. The only god in the universe is man. Stavish: What is this Experiment on Eternity? You’ve mentioned it before. What does it entail, and who can perform it? Dubuis: I said that I would discuss the conditions that would allow for this experience. Today I don’t have a formula that says you will go through this experience, but I have things that will better allow you to go through this experience. In good conditions, more than half the people I talked to lived it. You know who you are, because this experiment on eternity gets you out of time, shows you your origin, what you will be at the end of time, and a little idea of where you are. This experiment is very hard to bear, because it makes time and space on our earth level unbearable. Contact on eternity makes life in time and space very difficult; and people who have knowledge of this know that it can create suicidal tendencies… It is not for everyone. You must have your feet on the ground, head in the sky, a solid heart and a good brain. Otherwise, it is very dangerous… Everybody can live it, whether you are an initiate or not… But there is no safe method to make it happen. It is what the cabbalists refer to as contacting the Sphere of Binah, or Saturn. Dubuis: There is none. There is no negative aspect to meditation. But you must, when you’ve had an inner experience, understand that the inner experience belongs to the spiritual world and material life is another aspect. You’ve got to obtain harmony between the two. But your spiritual life must not have a negative effect on your life. Material life is necessary, and you’ve got to maintain balance between the two. One of the two must not stop the other. One of the great alchemical procedures makes possible the transfer of the level of consciousness of matter, so that the evolution of matter that would require one hundred million years would be done in two months… We create nature. Elohims, in the ancient text, are the photons of modern science. They have the power of creation, of all matter, of all worlds… Man is an eternal being that must insure his Becoming. This Becoming is only realized through freedom and love, but also knowledge to be able to see what is useful and what is not… Everything that prevents you from being free is not good. Freedom must be entire. Go forward through your own inner experiences, your own inner master. Dubuis: I didn’t say that they should only read the Sepher Yetzirah, but that it is the only true book to read as a passive one. The Zohar and all the others are just commentaries and digressions on the problem. Tomorrow morning I’ll resume speaking about that to explain how from the Sepher Yetzirah you can understand everything in cabbala. Dubuis: I think that the Egyptian civilization has been inherited from the Atlans (Atlanteans), of the knowledge that went down, as I explained yesterday, it was the knowledge of the Atlans. The shift of knowledge that permits the way up, of return to the original state of man, it is Egyptian. Egypt was at the end of Atlantis, and the beginning of the new era. Modern evolution comes from the Egyptians. Before Egypt, the whole of humanity was “going down” or involuting under the impulse of negative forces, and after Egypt, the whole of humanity goes up, or ascends, under the Sign of Life. But this life was very weak at the beginning, as it was the end of the “way down” or involution of humanity. The negative aspect is only eliminated very slowly, but the positive aspect is showing more and more on the way up, on the return to Origin. Stavish: You’ve brought some electronic “boxes”, as they are called, with you from France. Would you like to tell us about them? Dubuis: I think that in ancient times, a very long time ago, when humanity was on its descent, you couldn’t have a general initiatic method. Initiation is the opposite of involution, but this “going down into matter” is necessary. Initiation is selective as long as the descent is not finished for a great percentage of humanity. I think that in the beginning, in Egypt, people have been initiated by very simple methods, ritual and so on, the cabbalistic method in general. After, there were people who thought that humanity could be initiated by images and solid energies from matter. After then we had real initiation in Egypt with the symbol of Thoth, the Magus, the magician, and after than, von Helmont, the alchemist. However, I think that alchemy allows you, or permits you a faster initiation than cabbala. In those times, as human evolution was going on, we passed from cabbala to alchemy. Now, I think that with the evolution of the world, perhaps we can put in the initiatic path electronic methods. It doesn’t help people from working, but initiatic work will be easier. That corresponds to the fact that the whole evolution of the world must be accelerated. Dubuis: Absolutely! Everybody has to stay where they are because it is a Path which concerns them. The primitive being arrives on this world and has his Path to do - you must let him do his Path according to himself. You can help him, but this help shouldn’t be a handicap on his own Path. All human beings have a necessary Path, everyone must do it themselves. Help him, but don’t deprive him from his Path, from what he has to do.